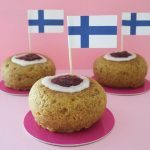 I was looking through old recipes and to my surprise I have not shared this one before… Runeberg’s torte is a Finnish pastry named after the Finnish national poet, Johan Ludvig Runeberg. The original recipe of the Runeberg torte is believed to have been created by confectioner Lars Astenius in 1840 and it was published in the poet’s wife’s Fredrika Runeberg’s recipe book in the 1850. 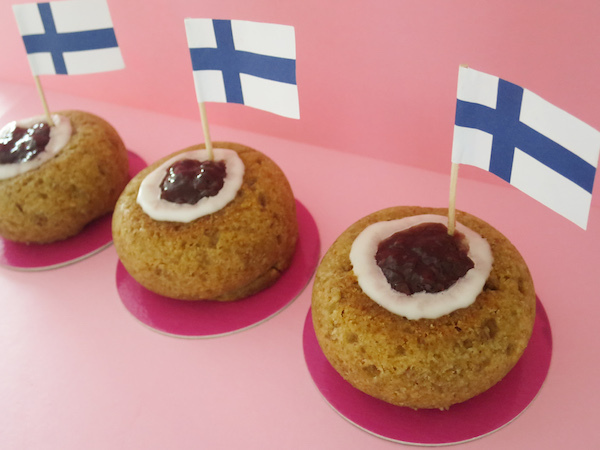 Runeberg’s torte is traditionally a tall cylindrical pastry that is soaked in rum or cognac flavoured sugar syrup and topped with a dollop of raspberry jam or apple marmalade, lastly garnished with a ring of white or pink sugar icing. In home baking they are often baked in muffin tins. My latest take is baked in Silikomart Professional silicone mold in stone shape. The pastry is super moist and the biscuit crumbs and almonds give it a nice crumbly texture. I used amaretto flavoured liquor instead of rum which adds to the overall taste of almond with a hint of complementing orange flavour that pairs nicely with refreshing unsweetened raspberry preserve, that I used on top. 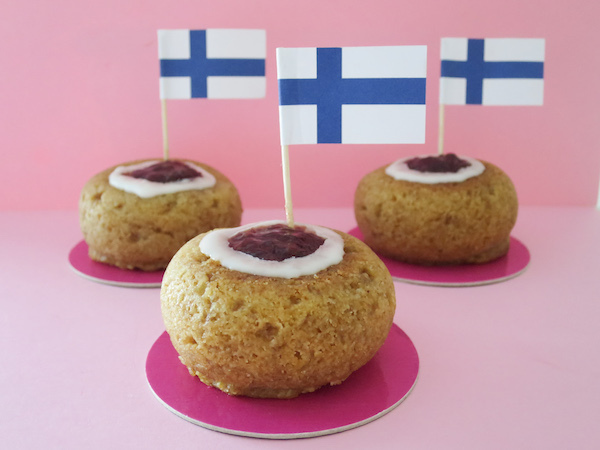 My take on the Finnish Runeberg torte - Runebergintorttu. 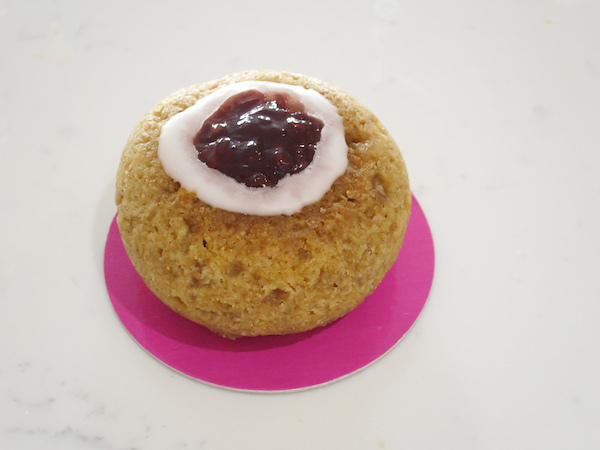 Almond flavoured pastry with hint of orange flavour topped with raspberry jam inside a ring of sugar icing. Preheat oven to 200ºC (400ºF). Place butter and sugar in a mixing bowl, combine dry ingredients in a separate bowl and combine egg with the orange flavouring. Beat sugar and butter on medium speed using a flat beater. Once incorporated, gradually add the egg flavoured with orange while continuing to beat on medium speed. 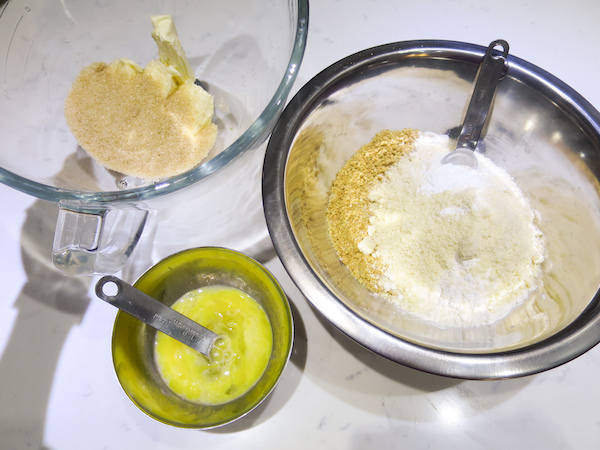 Then add the dry ingredients and mix only until incorporated. 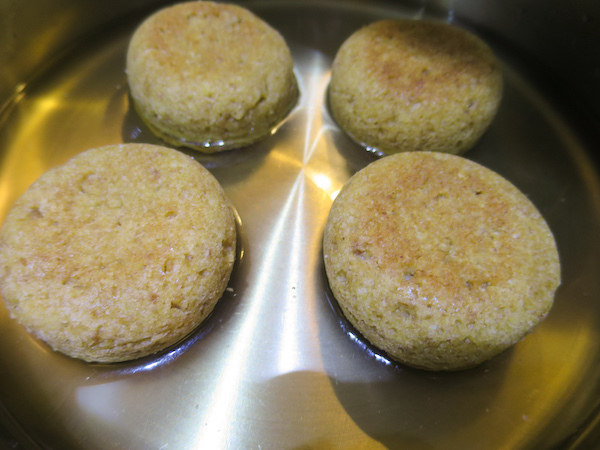 Spoon into bottomless cylinder molds, muffin tins or silicone baking molds and bake in preheated oven for 15-20 minutes. Lift onto a wire rack and allow to cool. Meanwhile prepare syrup by placing sugar and water in a large sauce pan over medium heat and cook until the sugar has dissolved. Remove from heat and once the tortes have cooled mix in the Disaronno and soak the cooled tortes in warm syrup and lift back on the wire rack. Prepare sugar icing by mixing powdered sugar, water and orange flavouring. Place in a small piping bag with small round piping tip or by using disposable bag cutting small hole. 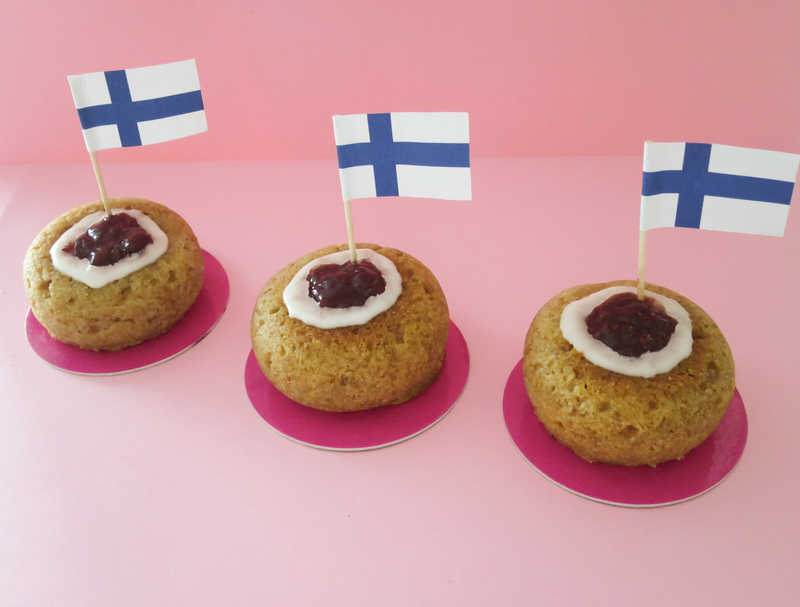 Place tortes on serving tray and pipe a ring of sugar icing on top, then fill the ring with raspberry preserve or jam. Serve and store in refrigerator.